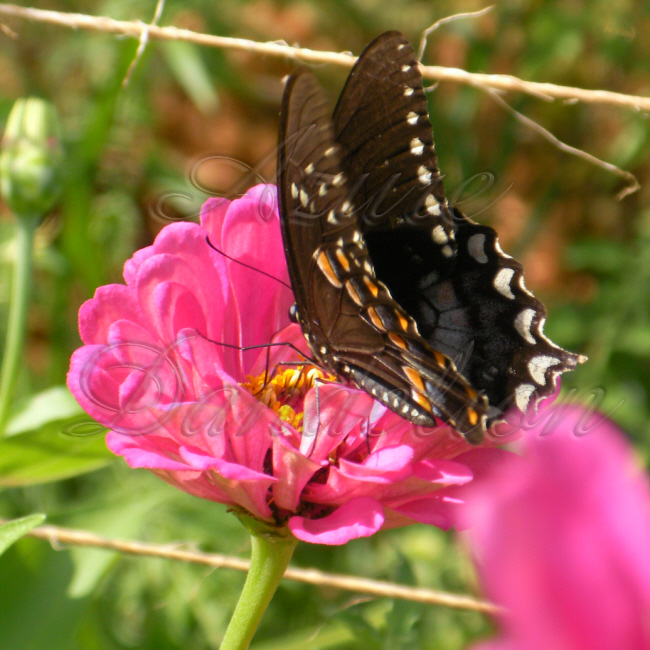 California Giant Zinnias are great for attracting Butterflies. They come in so many different colors. This planting is a mix of colors. They were host to many different types of butterflies this summer.